Where you can surf 365 days of a year!!! In April 2006, we opened the first Aljezur Surf Center in Aljezur. In June 2006, our first surf classes started at Aljezur Surf School. 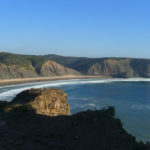 In June 2009, we opened the first luxury beach hostel Aljezur Villas Hostel. In 2010, we closed the shop and started another chapter promoting our Aljezur trademark and the Aljezur portal, where you can find all the information you need to come visit us at our European paradise. The Aljezur trademark is growing bigger as each day goes by. 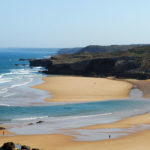 We hope that you think about visiting us here in Algarve, to surf the Aljezur waves. We, at Aljezur, teach all levels of surfing from qualified instructors, at an affordable price. Come and enjoy Europe, and learn to surf from the best in the business, our professional instructors at Aljezur Surf.